Sir Thomas Lawrence, was born in Bristol, Gloucestershire on April 13, 1769. He was an English draftsman and painter who was the most stylish among the English portraits painters during the late 18th century and early part of the 19th century. He was very talented as a crayon portraitist who trained in 1787 at the Royal Academy Schools. 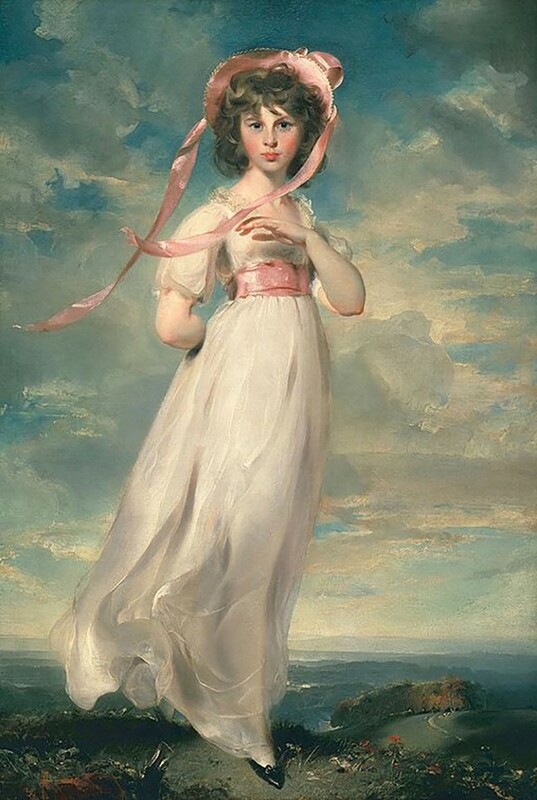 Thomas Lawrence was one of the premier contributors to figurative painting in England. The son of an innkeeper, he amazed their inn’s guests by doing their profile portraits in pencil. Later he turned to pastel and when they relocated to Bath in 1780, he started to professionally work as an artist. Despite lacking in regular education and training in art, Lawrence was already doing oil paintings prior to moving to London in 1787 when he was 18 years old. He entered the Royal Academy to train and received encouragement from Sir Joshua Reynolds, an influential 18th century English portrait artist. 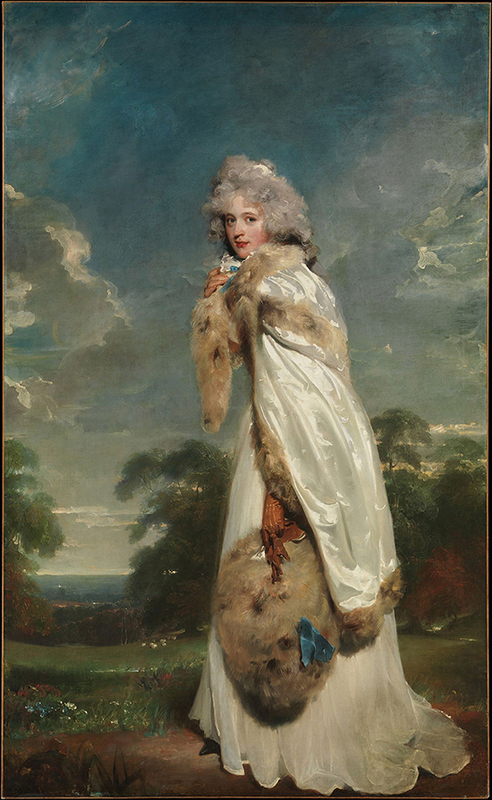 Lawrence enjoyed phenomenal success and by the time he was 20, we was called to Windsor to do a portrait of Queen Charlotte, King George III’s wife. At age 22 he was elected an associate of the Royal Academy and was an academician at age 25. While the portrait he did of Queen Charlotte was considered to be a very realistic likeness, the King and Queen did not like it and it remained with Lawrence for several years and was shown at the Royal Academy in 1790, the same year that he painted the portrait of popular actress Elizabeth Farren. The painting was praised by many, and he became Sir Joshua Reynolds’ official successor as King George III’s Painter-in-Ordinary. Due to his success Lawrence was able to collect several works of art and had one of the finest collections of works by the Old Masters. He also created several miniatures and rivalled the success of the top miniaturists in London at that time such as Ozias Humphrey and Richard Cosway. As a leading portrait painter, Lawrence showed a fluid touch, employing rich colors and had the innate ability to depict textures. He presented his subjects in theatrical or dramatic manner, typical of the Romantic period. When John Hoppner, also a brilliant portrait artist and colorist died, the Prince Regent patronized Lawrence. He was knighted in 1815 and was sent by the Prince Regent three years later to the political congresses in Vienna and Aix-la-Chapelle. In these places he painted the heads of state and military leaders of the Holy Alliance in full-length portraits, creating 24 large canvases in all. These paintings are now housed at Windsor Castle’s Waterloo Chamber. After his return to England in 1820, he was elected as Royal’s Academy’s new president. Lawrence’s fame spread and he was sought by high-profile clients. He had quite a long art career and during his time, he painted European leaders, royalty, writers, actors and actresses and other high-society personalities. One of the most well-known, and perhaps the greatest portrait he had done was the “Portrait of Sarah Goodin Barrett Moulton,” which became more popularly known as “Pinkie.” It could be viewed at the Huntington Institute in San Marino, California while the portrait of Irish actress “Elizabeth Farren” is at New York’s Metropolitan Museum of Art. “Pinkie” portrays the 11-year old Sarah Barrett Moulton, who was the daughter of a rich plantation owner. It is a lively depiction of a young girl who did not see maturity as she died at age 12. During his appointment to do portraits at the Vienna Commission, he was likewise sent to Rome, where he painted Pope Pius VII, a work that was considered as the most superb papal portrait since Velasquez did the portrait of Pope Innocent X in 1650.